Dr. V.A. 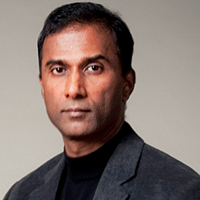 Shiva Ayyadurai, the inventor of email, a Fulbright Scholar, and Lemelson-MIT Finalist, who holds four degrees from MIT, is a renowned systems scientist and computational systems biology expert. He is the founder of Systems Health(R) and the Chairman and CEO of CytoSolve. He pioneered Systems Visualization, a new course at MIT, in the Department of Comparative Media Studies. He is also the Founder and Executive Director of the International Center for Integrative Systems located in Cambridge, Massachusetts. He is passionate about integrating both Eastern and Western systems of medicine to create a new convergent medicine that is fully consistent with the scientific method.